Why choose Verity Van Lines? 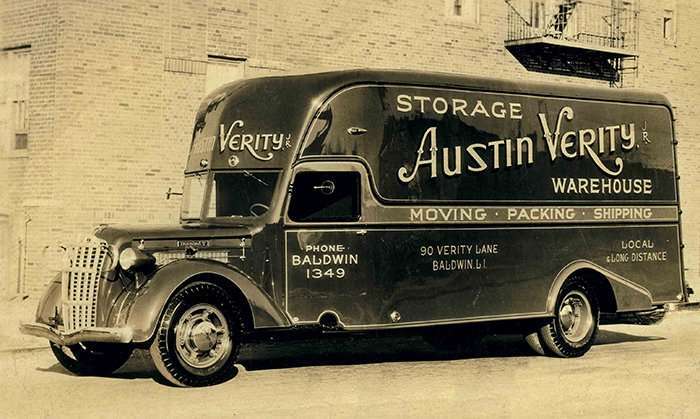 Verity Van Lines is the oldest privately owned local and long distance moving company in greater NYC and Long Island. When you choose Verity, you benefit from a dedicated team of experienced Long Island movers who know how to execute your move and put your mind at ease. We have the resources and people to handle all kinds of moves, no matter the size, location, or time frame. We’ve been building a track record for successful moves and satisfied customers for well over 90 years. When you choose Verity, you have the confidence of knowing that we will be there to take care of you and your belongings every step of the way. Verity Van Lines maintains a private fleet of moving trucks of all sizes. From 20’ straight trucks to 70’ tractor trailers, we have the right equipment for your local or long distance move. If your new home is not quite ready for your move, we have full service vault storage, self storage and portable storage to keep your belongings safe and secure. An unmatched dedication to customer care. We know every move is unique, and our movers and services are customized to accommodate your specific needs from start to finish. We don’t think of ourselves as simply moving your belongings, we’re really moving your life. We handle piano moving, your large electrical goods, antiques, artwork and even items of sentimental value with extra care and thought. From your first contact with us, you’ll enjoy polite, friendly service and knowledgeable answers to your questions and concerns. Our staff is capable and proud to deliver top-notch service every step of the way. Verity Van Lines is a fully licensed and insured moving and storage company that believes in honest and ethical practices. We are a Better Business Bureau (BBB) accredited business with an A+ rating. 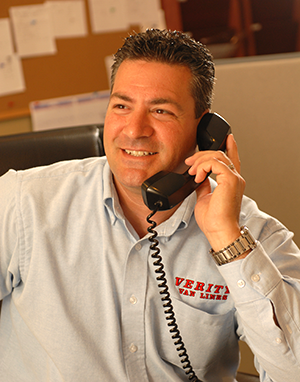 Verity’s owner, Michael Maffucci is a leader in the industry who has served as the chairman and past president of the Long Island Moving & Storage Association, and as the president and a director of the New York State Movers and Warehousemen’s Association. He has brought his past experience as both a Certified Public Accountant and a senior-level manager at Price Waterhouse to Verity. He has introduced innovative methods of customer care, employee motivation and team building as well as a sense of professionalism that you can see and feel every time you talk to one of our employees. Comparing Long Island moving company prices? Find out how much your move will cost with our handy online estimator. Let me start by saying the 3 brothers, Eric, Mark and Steve treated our belongings and us like royalty. They exceeded our expectations and took the worry away from moving day! Local and long distance moving and storage specialists. Verity Van Lines offers direct moving service to Florida, the Carolinas, Texas, Arizona, California and all points local and nationwide. To get started on the road to a stress-free moving experience, call us today at 516-785-7620. From the moment we met Sal, we knew we were in good hands. The team packed our entire house in less than a day, and by the end of the next day everything was safely loaded onto the truck and it was on its way. We had to stay on Long Island for an extra week, so they even made sure delivery would not be made before we got to our new home. At the final destination, it was great to see some of the same team unload the moving van. And now for the story that proves Verity goes above and beyond. We never thought of asking for advice, so we arranged for another company to transport our car. Of course, they never showed up, and they never contacted us. The next day I called Sal hoping he could offer some advice, since we were getting on a plane... From the moment we met Sal, we knew we were in good hands. The team packed our entire house in less than a day, and by the end of the next day everything was safely loaded onto the truck and it was on its way. We had to stay on Long Island for an extra week, so they even made sure delivery would not be made before we got to our new home. At the final destination, it was great to see some of the same team unload the moving van. And now for the story that proves Verity goes above and beyond. We never thought of asking for advice, so we arranged for another company to transport our car. Of course, they never showed up, and they never contacted us. The next day I called Sal hoping he could offer some advice, since we were getting on a plane in 24 hours. He called a company he knew, and because of his relationship with them, he let us leave the car at the Verity location, they picked up the car the next day, and delivered it, as promised, to our final destination. So many types of industries depend on repeat business from their customers. But even though this could be the one and only time you use Verity, rest assured they will treat you like you are the most important customer they have ever had. They did everything right! I have nothing to complain about! From packing to moving to unpacking to setting up everything was done right!Yes, I would use them again and yes I would recommend them to a friend. They are that good! Rob ,thank you very much for your helps to walk thru every step on my moving , without your guidance I don’t think I can be so relaxing on this process . This was my first LONG distance move , lucky I was in good hands . From start to finish , no problem at all . Good estimates, changed order by adding more items , packing extra items .....etc. thanks for your patience. In moving day , I met Steve & his lovely family members. They were so organized to disassemble & packing all items etc. They took time and carefully moved to the trailer. Yesterday was my happiest day because my furniture arrived & moved in my new ‘OLD’ home. Steve & Eric worked pretty hard and returning my items in good condition , nothing is damaged , plus they placed all furniture in right places. Great job... Rob ,thank you very much for your helps to walk thru every step on my moving , without your guidance I don’t think I can be so relaxing on this process . This was my first LONG distance move , lucky I was in good hands . From start to finish , no problem at all . Good estimates, changed order by adding more items , packing extra items .....etc. thanks for your patience. In moving day , I met Steve & his lovely family members. They were so organized to disassemble & packing all items etc. They took time and carefully moved to the trailer. Yesterday was my happiest day because my furniture arrived & moved in my new ‘OLD’ home. Steve & Eric worked pretty hard and returning my items in good condition , nothing is damaged , plus they placed all furniture in right places. Great job guys ! I am a very satisfied and happy customer & definitely will recommend to my friends & family on their future move. I felt like royalty! They were amazing! I didn’t have to lift a finger - from start to finish. First I met with Sal who walked me through the whole process and answered any and every question or concern I had- he was so courteous, patient and professional. On moving day the crew was amazing. Each member of the team was friendly and went above and beyond to make sure the move went smoothly and I didn’t have to worry about a thing. I highly recommend them! Moving can be stressful but Verity makes it so much smoother!! !